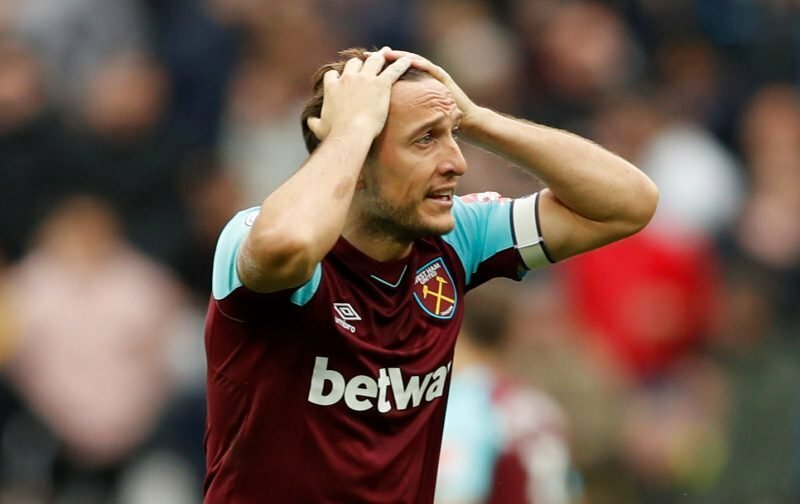 West Ham United captain Mark Noble has revealed the extent of his injury problems over the past couple of seasons, saying that at one point he played with pain for three months. The one club man has missed his team’s past couple of games, and now the 31-year-old has shed light on the troubles that have plagued him over recent seasons. “My back problems really go back to the season before last, when I had stomach surgery,” he wrote in his London Evening Standard column. “I had played for three months in pain and then the surgeon told me that I needed an operation. “It was only supposed to be an hour long but it ended up lasting six hours. He found I had six hernias and my abdominal muscles had split. The extent of Noble’s injury troubles certainly wasn’t widespread information, and those of us watching him last season didn’t really have an inkling that there was anything wrong with him. The fact that he kept playing despite what must have been tremendous pain is admirable, of course, but ultimately inadvisable. He’s now experiencing the repercussions of his decision, and he’ll have to be wary of this turning into a longer term issue. It shows what sort of a man, and servant to West Ham, that Noble is that he kept playing in order to help prevent the club’s relegation last season. While maybe not the right decision for his body, every fan wants a player who is willing to lay themselves on the line for their team. In the end it worked out, the club avoided relegation, so if Noble is now able to put these injury problems behind him then everybody wins.